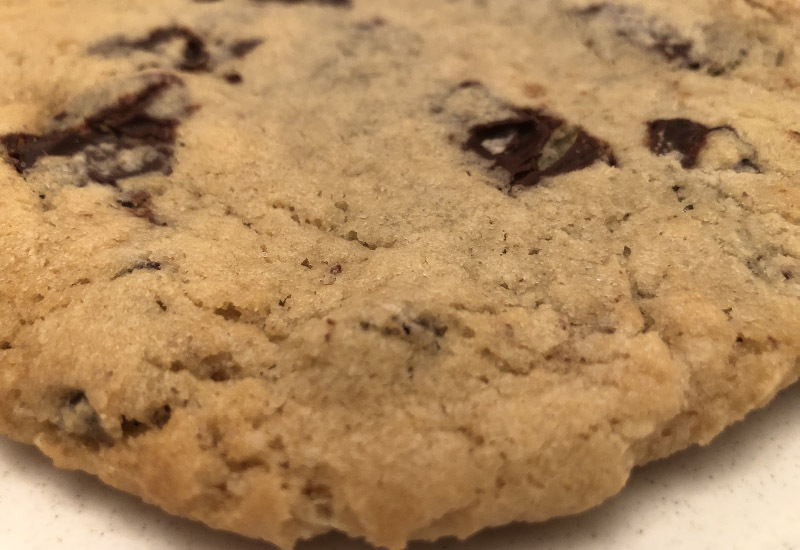 Cary, NC – As a well-known treat, chocolate chip cookies allow for a infinite amount of refreshment, reinvention and refinement. With that, here are some places in and around Cary that are putting their stamp on the age-old treat! Be prepared to share this plate-sized treat or maybe you want to treat this as a personal challenge! Happycupcakes’ giant chocolate chip cookie is thin but deceptively dense. The chips are more smashed into the cookie than gently placed, giving those with a sweet tooth more of an opportunity get a burst chocolate in each bite. Breaking it apart is a must if you’re planning to dunk it in milk. Annelore’s chocolate chip cookie is more reasonably sized and crispy. The chips are tucked away in the cookie providing a surprised feeling with every bite. Its sturdiness makes it ideal for a good milk dunking. The brown sugar comes across clearly in La Farm’s chocolate chip cookie. The dense cookie teeters between being a crispy cookie on the outside and a chewier one on the inside. The tinier chips are scattered throughout the cookie, some peeking out from the top, while the rest are scattered at the bottom. Looking more like the crater of the moon with its deep canyons, Groovy Duck’s chocolate chip cookie is wider than the standard cookie. The crispy snap comes through with each bite and a thin chewy layer welcomes you as you get to the center. A slightly salty taste invites you to explore this complex cookie. Forgoing chips, Night Kitchen goes for chocolate chunks in this loosely packed, crispy cookie. For those who like to mix sweet and savory together in the treat, one would not go wrong chomping down this cookie. Story and photos by Henry Solorzano. What about Great Harvest Bread Co? You missed Buttercreams in Apex! !